The default behavior in Sales TV is to show a screen with an image of the sales rep every time a sales are completed in Upsales. Regardless of its value. It is possible to set a minimum sum that the sale has to be in order for this notification to show if you don’t want to show small orders on the Sales TV. To do this you go to tv.upsales.io and log in with your Upsales credentials. 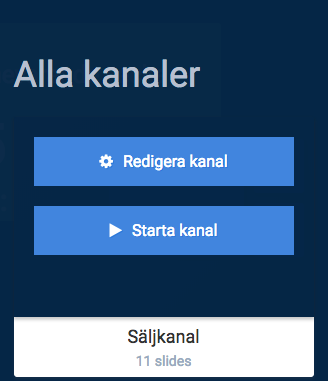 Hover over one of your channels and click on “Redigera kanal”. 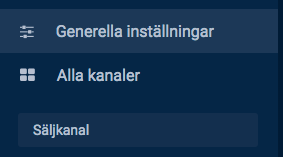 In the settings screen on the section called “Allmänt”, there is an option called “Visa film när beloppet överstiger” which translates into “Show movie when the amount is above”. 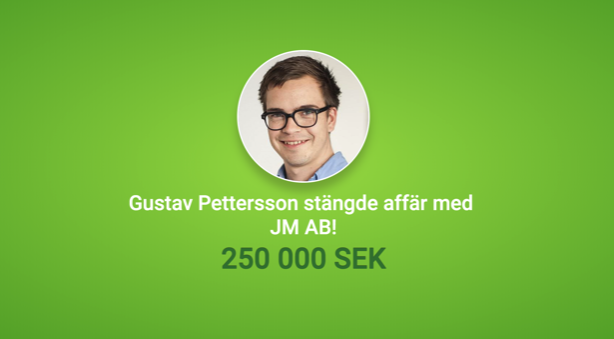 This value specifies the threshold for when a sales notification is shown on the Sales TV. Orders under this value will not show the movie or sales notification.